Our youth football season actually started in June with a pair of football camps. Then in July, my older son participated in the U.S. National Team Middle School Bowl Game Series. Before we knew it we were in the regular season, flag for my younger son as well as tackle and flag for my eldest. And now, it’s done. How did it go by so fast? It’s funny because many of the parents ask the same thing. A football team really morphs into a football family and seeing everyone each week becomes like a family dinner or get-together. The players are on the field for the game, the parents are in the stands cheering and having conversations during the stoppages in play and the siblings are having fun playing off to the side or in a playground if there is one by the field. So now what? 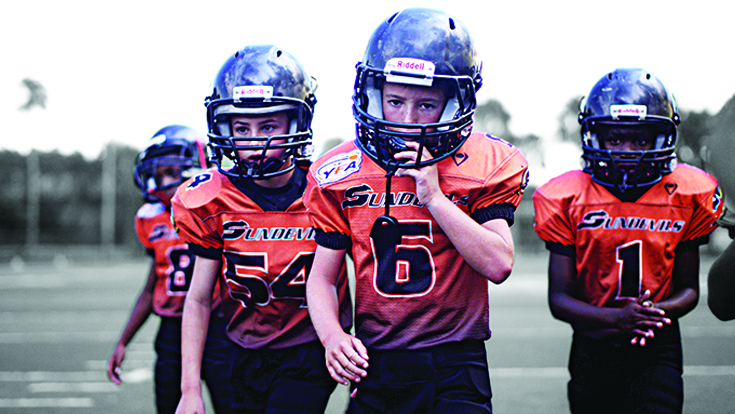 What do we do without youth football? The first thing I would tell any parent about any season is to enjoy it and relish the journey from camps during the summer through each and every practice and game through the season. These moments are so precious and so special you just have to take it all in and realize just how wonderful it is to be a part of youth football. Sometimes, a football season really isn’t over when it’s over. When Bradley played tackle football for the town program, there were several times when the coach arranged postseason “Turkey Bowls” or “Holiday Bowls” to give the kids one final game of the season. A couple of times, those games followed heartbreaking playoff losses, so it was a good opportunity for the kids to close the season with a better taste in their mouths. When the season is over, something to consider would be a winter indoor league if you’re in a cold weather area or just another winter outdoor league if you’re in a warm climate. This could be something that is six-to-eight weeks and gives your child a little more football through the end of the winter. Believe me, I’m all about kids playing multiple sports, but after an abbreviated middle school season compared to town football, I think Bradley still has some more football left in him this year. And finally, it’s never too early to start thinking about 2019. Look around for youth football camps and clinics in spring and fall and look into USA Football’s National Team regionals and showcases to give your child some great experiences. The memories might just last a lifetime. Before you know it, training camp will arrive, and we’ll all be ready for next season. And then ... don’t blink. Peter is a sports anchor for the CBS Sports Radio Network, FOX News Headlines 24/7 and WCBS 880 Radio in New York. His son Bradley is playing middle school football and flag football on Long Island while his younger son Jared plays flag football. Peter, his wife Sheryl and the boys are busy cheering on the New York Jets when they’re not at a youth football field.